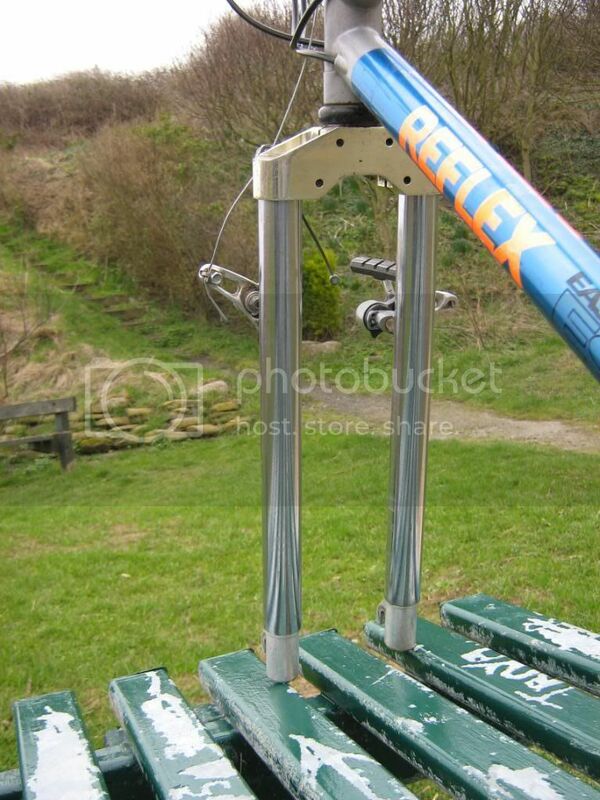 It is a TREK 8000 with XT and LX bits, it is as I bought it (original tyres even) except the bar ends and bottle rack! The paint has a few bubbles coming through, but generally ok. The tubing is labelled E9, 19" frame. 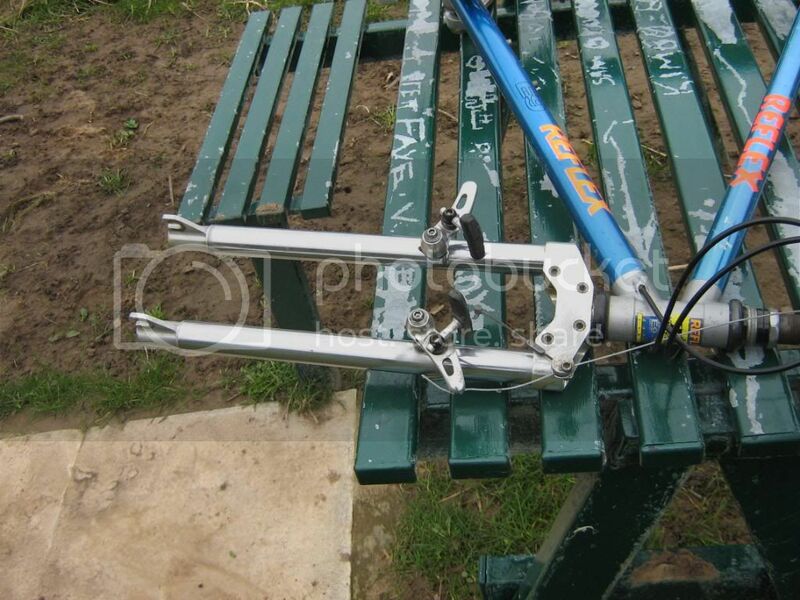 I have a pair of Pace RC30 Forks and I'm not sure what there worth, They have an 1" threaded steerer that's approx 170mm long and are in good condition except they have no decals. Anyone advise me to what is a fair price for them?????????? Look in good nick mate. I sold some recently for £50 or £60 recently so I'd say around that, if not a bit more for yours. What would this be worth? NOS RS suspension seatpost. I should probably keep my trap shut until I've paid & collected them too! Busy tomorrow (Mon)? I'd like some views on it's worth as a whole bike really, ta! 2013 Kona Honzo ....scares me to be honest!! Sheffield's best left handed 1986 VW driving plasterer! I thought '93 was pre-suspension corrected...? Lovely bike anyway, one of my favourite 'schemes too. Sorry to say the obvious but definitely one that would benefit from splitting (almost certainly what the buyer would do anyway), I think as it stands you'd only get a rather insulting £300-£400 from someone who wants the frame/P2s/stem/post and maybe wheels, which I don't think you'd like! I may be wrong of course, that goes without saying! Would appreciate a back-up/correction on this from someone if possible please? cheers, I know what you mean re splitting it. It is pre sus correction but handles extremely well, just took it over Cut Gate today in the Peak District, it can still hold it's own! Does that mean the front end sits a little higher than it was designed for? What is this worth ????? I think I've only done 10 miles on it since I bought it 18 months ago. A similar frame was on USA eBay for $500 this week.